As we come close the end of the polo season, August brought a month full of finals for the LHK polo team. Following from a hard month of competitions in July, the ponies started August with a break while LHK patron Colm was in the USA. He played, along with another LHK team member Siobhan Herbst, in an international game between USA and Ireland at Newport Polo, Rhode Island. They unfortunately lost out by one goal in the final with the score 8-7 to USA. Hopefully we can reclaim this title next year. The next tournament for us here in Ireland was the 6 goal in Wicklow at the end of July. Patron Colm and Siobhan played together again on Rhone Hill Polo team for this game and they won the final by 7 goals to 5 against Tyrone. Polofest in Bunclody on 4th August was the next tournament and LHK got through to the finals again on Sunday. Here we played against Tyrone Polo and unfortunately lost out by 1 goal in a very closely fought game with a final score of 6-5. On 11th August we were back in the All Ireland Polo Club in Dublin for the Novice Cup. We beat Horseware and Pegus to get through to the final against Rhone Hill on the Sunday, this was a very exciting game of polo, but unfortunately, we lost out by 2 goals in the final chukka with the final score 7-5. The weekend of the 18th August hosted the International Ladies Tournament in Dublin. LHK ponies were on loan to the visiting American team for the weekend. The American ladies played a very good game but lost out by one goal with the final score 3-2 to Ireland. There was also a celebrity polo match with top trainers and jockeys on the day in aid of Injured Jockeys Fund. Bluegrass was kind enough to sponsor feed vouchers in aid of this fantastic charity which were won by Joanne Mallon. Hopefully we can win some finals next month for the end of the season! 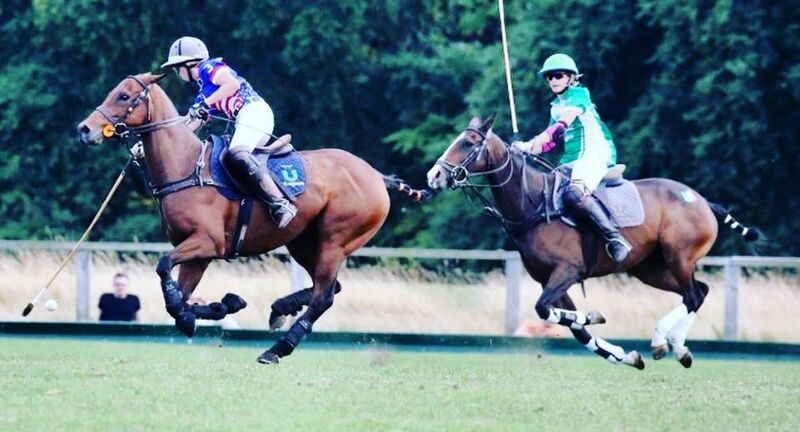 Keep up to date with LHK Polo through their Instagram page.